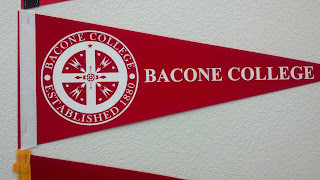 Bacone College? I spent a few moments considering the possible degree plans, and how delicious they might be. Could an MB, Master of Bacon, be in my future? 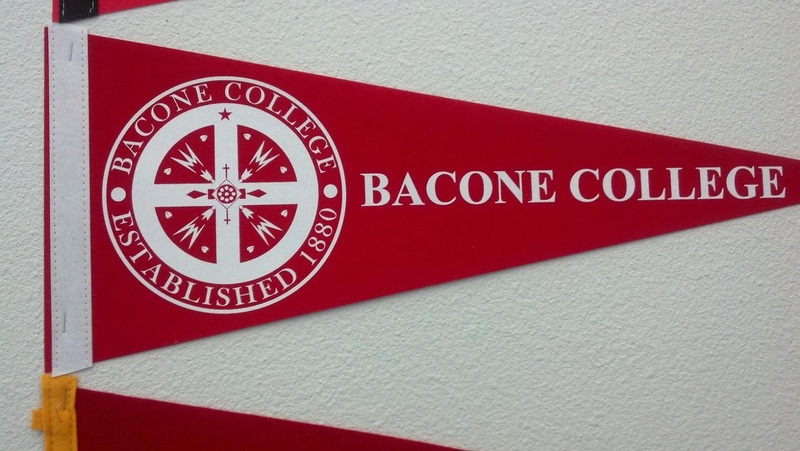 Or a Doctorate of Bacon Administration? My son was a little upset with the Turtle Man, the star of Animal Planet's Call of the Wildman. Since all the animals in Tennessee were hibernating last winter, Turtle Man and his crew decided that Texas was the place to be. Zane could not understand why Turtle Man did not come to visit him, and I explained that we did not have any critters for the Turtle Man to catch. We do not have bats, or rats, just cats. Turtle Man doesn't catch cats, and that's that. Hey, I accidentally rhymed! Hopefully that goes away. We bought a new car, an SUV, because my best friend will no longer speak to me if I buy a Mom Van. Since Larry still works in New Braunfels for now, we needed a second car. We marched into Carmax with a purpose, which I will tell you is sooo much better than wandering aimlessly around every car dealership. I'd looked up the 2009 Hyundai Santa Fe online, so we already knew our price range and what we wanted. We'd even talked to Zane about loans and how they worked. Zane's take on that was to march into Carmax and tell the guy, "We want to buy an SUV, but we don't have any money." Lucky the salesman had a sense of humor! This will be Larry's vehicle. He has wanted something that could be used to haul all the things he needs for the soccer field, and now he has it. Zane is beside himself with happiness. Because the backseat has a cupholder! Remember when little things like that made you feel like it was Christmas? My BBF(Best Blogging Friend) sent me an adorable birthday present. She knows me so very well! 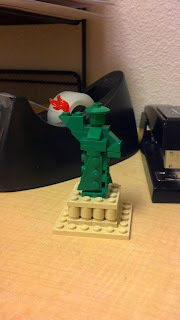 Andrea(from over at Maybe It's Just Me) sent me a Lego Statue of Liberty for my new desk. I spent a happy five minutes putting it together, because I'm older and my fingers are not quite so nimble. But I was so very pleased to have a moment to play! I've been watching Ghost Adventure on the Travel Channel. It's very different from Ghost Hunter on Syfy. Where GH is all about disproving a haunting, GA went all out and drank the Kool-Aid. Those guys will practically jump for joy when something happens, no matter how mundane. They're all about the scare. Today is Zane's first day back at school, and he will be in Kindergarten. We attended Open House with all the other parents. When we entered the room and introduced ourselves, both the teacher and her aide said "So YOU'RE Zane!" Larry and I looked at each other, concerned. What parent wants to hear that their child has been discussed that much around the xerox machine? We needn't have worried, though. One of Zane's friends from last year, Austin, showed up before we got there, and all he could talk about was how Zane was in his class, and this is where Zane will sit, and this is Zane's cubby, etc. Austin reportedly just went on and on about my child, as if Zane was the best kid in the whole world. That was how the teachers knew my son. Larry and I felt better after that. We interrogated talked with the teacher about her behavior system, which involves some sort of rainbow. I am not sure how Zane will do with that--he tends to do better when things are laid out more simply. But she's the teacher, and I will let her figure all that out. Or not--Zane might surprise us. Stacy is still moving across country. She will be back in September, I think. 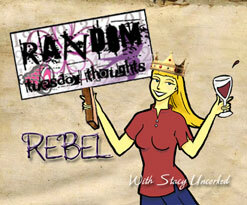 I am keeping the random going for her, but I'm being even more random by posting this on MONDAY!!!! Hahaha, don't do anything TOO rash (er)!! And why didn't Zane just show off his kangaroo?? I actually STILL get a thrill with pointless car accessories ... our latest has a SUNROOF!! WOO HOO!!! Sadly, I guess this means I'm not your BBF ... in time I'm sure I shall recover (don't worry, this is Aussie humour)(and don't correct the spelling on that one, it's correct for OZ). I find the scare factor of REAL stuff bad enough without resorting to ghosts. And maybe its just us adults to whom a rainbow behaviour system doesn't make sense! There! I've commented on ALL your random!!! 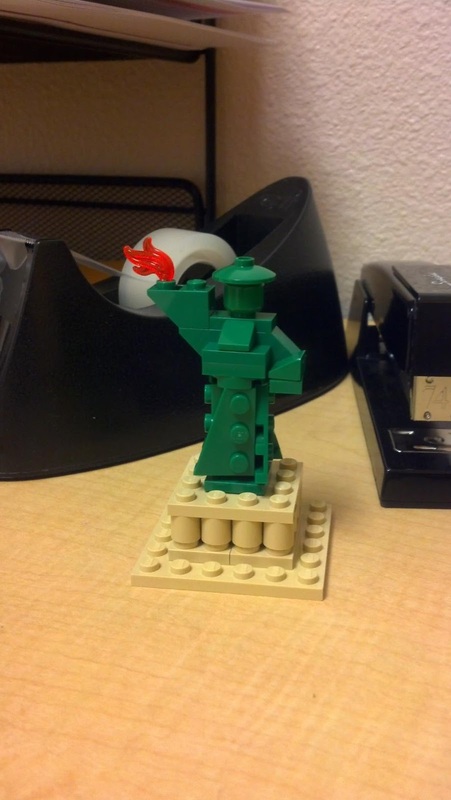 Lady Liberty looks fabulous amongst her sea of office supplies...safe harbor for a stapler! In second grade when I introduced myself as DD2's mother, she looked at me and said "we need to talk".